Industry sources say since the dispute began in early March over 30 trains have been cancelled due to industrial action taken by the Rail, Tram and Bus Union, representing around 100,000 tonnes of undelivered grain. It is estimated the cost of the undelivered grain sits at around $10 million, primarily due to port demurrage costs. As part of the action there has been a three day stoppage in driving and other go-slow protests, including drivers not working over eight hours in a single shift. Estimates are that as few as 60pc of grain trains are being unloaded without delay. Officials from the RTBU confirmed there would be further action from Sunday next week. All three of the major bulk handlers in Victoria, GrainCorp, Emerald Grain and AWB GrainFlow have been impacted by the action and have been trying to find alternative means of getting grain to port, including additional trucks. However, there is not sufficient road capacity to move all the grain on time, meaning lengthy delays to contract execution. The lack of rail capacity is placing further pressure on a swollen shipping stem, heavily booked to move a record Victorian grain harvest. 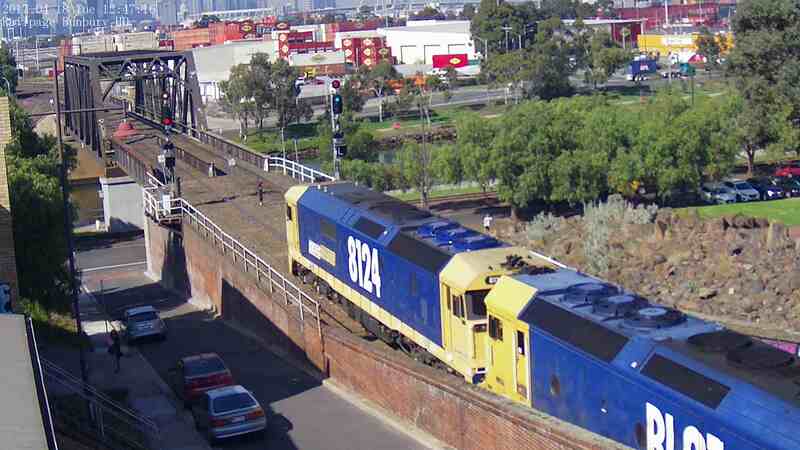 The lack of available PN train sets is a further logistical blow for a grains industry already dealing with delays created by a Victorian Government decision to impose strict speed restrictions on key grain train lines on days with temperatures above 33 degrees. President of the Victorian Farmers Federation (VFF) David Jochinke said the grains industry needed a swift resolution to the dispute. He said PN customers needed to be delivered the service they had paid for. Mr Jochinke said the delays were costly for Victoria’s grains industry. “Anything that delays the movement of grain, agriculture ultimately bears the cost. The dispute centres on wages and conditions for train drivers. Marc Marotta, state secretary of the locomotive division of the RTBU, said PN had come to the table with an unacceptable offer in the latest round of enterprise bargaining agreement talks. Mr Marotta said train drivers had a number of concerns, including a PN push to reduce average wages by $19,000 per annum, reduce minimum guaranteed hours and remove penalty loadings. For its part, PN was tight-lipped on the dispute and when it may be resolved. “PN is committed to doing everything in our power to minimise the disruptions to our customers at this critical time for them and the Vic economy,” a spokesperson said. Pacific National has undergone major changes in the past year since its parent company Asciano was sold, including losing a major coal hauling contract in the Hunter Valley in NSW. A number of NSW staff were made redundant as a result. Grains industry sources have questioned PN’s ability to handle the massive amount of grain needing outloading in Victoria given staffing levels and working arrangements outlined in the current EBA.